Pretty Things: Ask the Color Queens! I love color -- I'm definitely one who likes to play with the big box of rainbow crayons! So I was excited to be asked to review an online publication authored by Margie Deeb and Beverly Ash Gilbert. 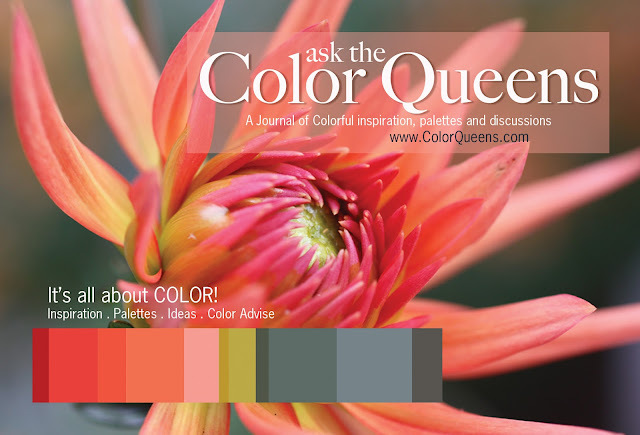 It's called "Ask the Color Queens" -- click here to see a sample! 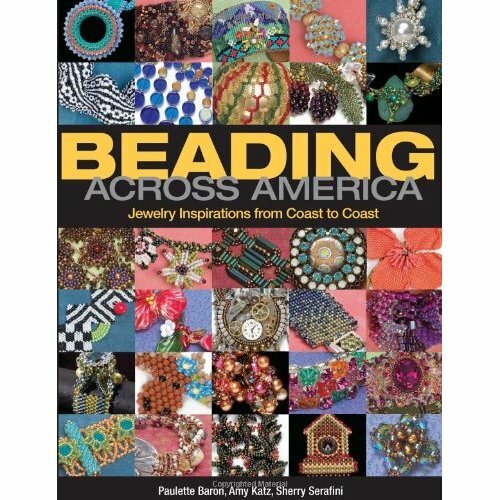 I'm familiar with both Margie and Beverly because they contributed to a wonderful seed beading book called "Beading Across America", and I had the pleasure last year at the Bead and Button show of watching many of the designers for the book work on various projects. It showed me what a close-knit community there is in the beading world (and I wanted to know how to make such amazing, intricate things as what was around these women's necks!). But back to their newest endeavor! Not only is the 15-page online full of beautiful pictures that will make you want to jump up and start snagging beads out of your stash, but it talks about color theory and how to break out of your usual color "rut". This particular issue (linked above) also contains a color-centric interview with Jamie Cloud Eakin. And one of my favorite features is when Margie and Beverly create their own color palettes from the same photo. It's interesting to see how two people interpret one picture! I hope you'll check out their work! Thank You for sharing Lori - The color just on the front page is simply amazing so I can't imagine how wonderful the rest might be. I can't figure out any way to subscribe to their new e-publication. Is it one a time thing, (ie. just the link you posted) or are they planning to make this be an emagazine? I adore colour and always wear colours. I also admire seed beaders enormously some of the most exquisite art jewellery is seed beaded, I actually like seed beads and use them often! I am off to go round all the links! I have the second give away on my blog you are welcome to visit and take a look. Oh I LOVE color, and will check out all these links - thanks for sharing!